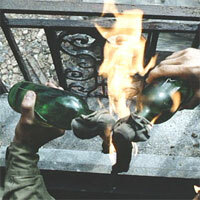 First believed to have been used during the Spanish Civil War (19361939), the Molotov cocktail is a simple weapon consisting of a glass container filled with a flammable liquid. Stuffed into the neck of the container is an oil-soaked rag which is lit on fire just prior to the container being thrown at its target. 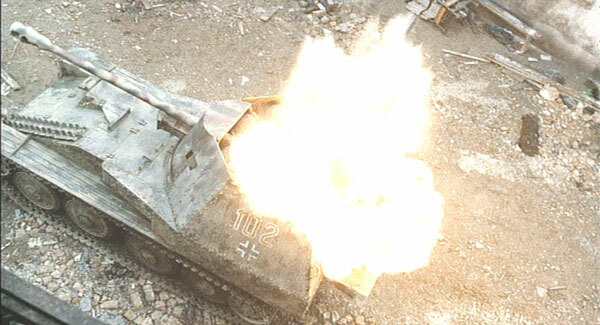 Numerous variations on this weapon were made, including the addition of thickening agents designed to help the flammable liquid stick to its target. 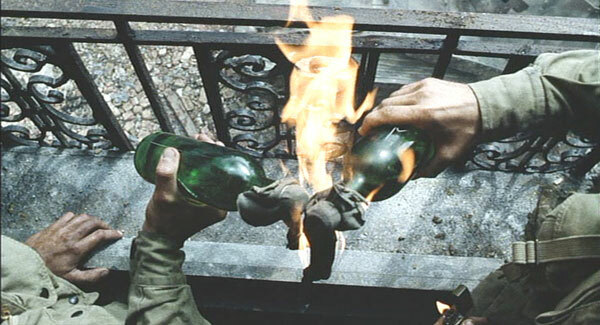 Although often thought of as a weapon used by rebels, insurgents and other untrained forces, the Molotov cocktail was also employed by professionally-trained soldiers in World War II, and was known to the British Army as the "bottle bomb." The Molotov cocktail was named after Vyacheslav Mikhailovich Molotov, the Soviet Minister of Foreign Affairs from 1939 to 1949. Although the weapon itself was invented in the Spanish Civil War, it did not receive its name until a few years later during the Winter War between Finland and Russia from 1939 to 1940. 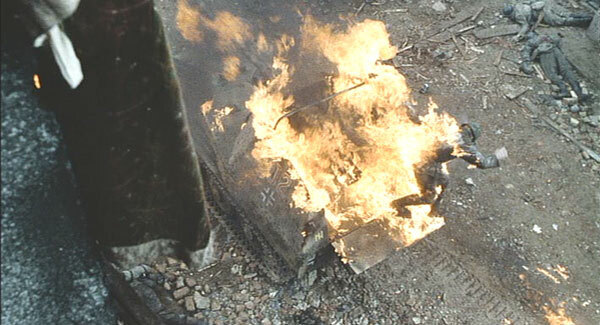 Molotov was hated by the Finns, and they thus named the makeshift weapon after him. 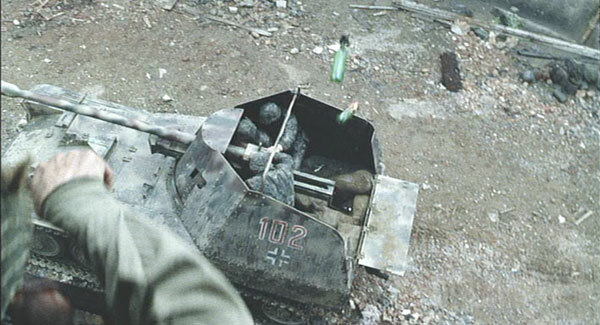 Molotov cocktails are thrown onto a German tank destroyer by two paratroopers during the Battle of Ramelle.